I've heard of sea glass marbles, but I found what was obviously a star? Every heard of this? 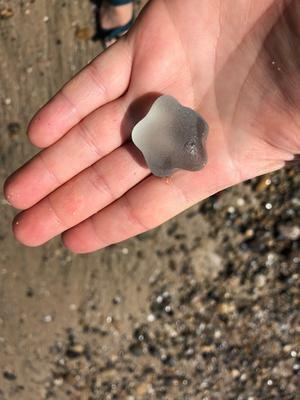 I feel like it's a rare find, and am somewhat of an newbie (less than 2yrs exp) sea glass hunter. Value? Rarity? Comments for Sea glass star? I don't know how rare that is, but it's so cool!